The programme Entr’Art, organized by Le RAFA, will again be taking place at the Banff Centre from August 25-31, 2015. I really look forward to participating in this multi-disciplinarian program, enjoying the group energy, learning from the mentors, appreciating the studios allocated to each participant, the great food, and of course all the intense work. 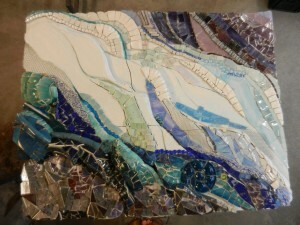 The project, which I submitted, is to create a 3D mosaic mural depicting a glacier. 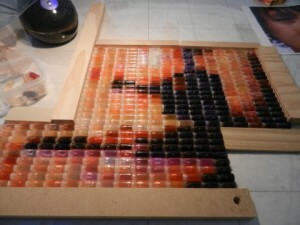 I hope to use a lot of glass, and recycled objects. Serge Murphy of Montreal is the designated mentor for the Visual Arts sector. Really excited about working with him.